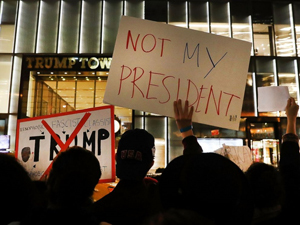 Leftists celebrate peaceful transition of power with violent riots. On the surface, it looks like BLM and ANTIFA have hundreds of thousands of members across the United States and more than a million strong when you count those who riot internationally. These numbers are as misleading as the purpose of the civil unrest and riots perpetrated by these two organizations who have proven themselves to be nothing more than terrorist organizations since the Ferguson Riots. Many locals in cities across the US are confused at the amount of people who show up in violent demonstrations protesting anything from Confederate Monuments, local police, the President, etc. since it is known in these areas that most support the opposite of what these crowds are there to protest. What is really happening here is most people really do not want what BLM and ANTIFA rioters are protesting for. A great example of this was the violence at most Donald Trump rallies during both the primaries and after he was elected. The thousands of supporters who attended his every rally were there to see the man who they wanted in office. Yet, we are supposed to believe literally thousands of people attended his rallies in protest and were so angry that they attacked his supporters for their approval of him and his policies. Nothing could be further from the truth, as both BLM and ANTIFA really do not have the massive numbers in members they want us to believe they do. They also do not represent the political views the majority of Americans have. 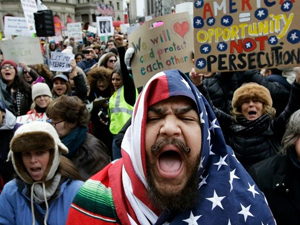 The truth is over 90% of the people who show up in all the protests in the US are literally paid protesters hired by Leftist political companies such as Crowds on Demand and a handful of others via Craig’s List, or other on-line advertising sites such as Google, and even local newspapers. Adam Swart, founder and CEO of COD is literally responsible for most of the organization of individuals gathered for each BLM and ANTIFA riot in the US since his firm does most of the advertising for recruiting rioters and is the company who pays most of them anywhere from $15.00 to $75.00 per hour to take part in nationwide protests. 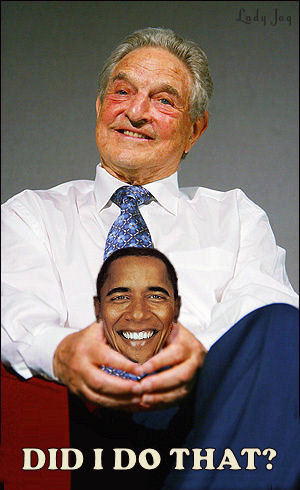 Of course, George Soros funds these organizations as well as BLM and ANTIFA, and Barack H Obama is responsible for originally organizing BLM and ANTIFA. So, no wonder we have thousands of demonstrators appearing in areas protesting for issues that are in total disagreement with that area’s political mindset, they are all paid protesters. Not only are they really not members of BLM and ANTIFA and just rioting because it is their job, most of them do not even live in the local area where the actual protests take place. 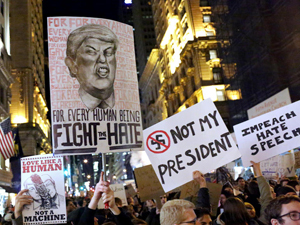 The large numbers of protesters we see appearing everywhere is designed to strike fear into the minds of those who are American Patriots and believe in the sovereignty of the US as a constitutional country and have them believe they are grossly out numbered. When in fact these numbers are false and misleading. 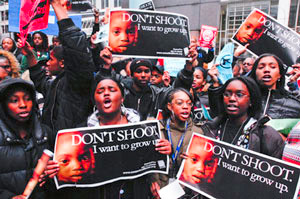 These organizers for terrorism must be held accountable for all damages, injuries, and deaths associated with every violent demonstration and riot since the Ferguson riots. Everyone who believes in the US as an independent sovereign nation and rejects the NWO idealism of the past Administration of turning our country into a 3rd. World Banana Republic, governed by the United Nations has to realize the real purpose of the BLM and ANTIFA riots and just how very limited they are in numbers. BLM and ANTIFA could care less about racism or any Confederate Monument, they are just using this genre as a ruse for their main goal, which is to erase all US history and heritage so they can transform the country into a faceless NWO stooge of the UN. We have recently seen evidence of this with the defacing of the Lincoln Memorial in Washington DC, and the supposed mistake of vandalizing of a peace monument in Atlanta, GA, which was no mistake. 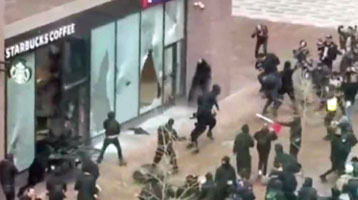 Since Ferguson, BLM and ANTIFA has caused around a billion dollars in damage to both personal and public property, caused millions in medical expenses of those directly injured by their civil unrest, and have indeed been responsible for many deaths. They must be both made financially and criminally responsible for their terrorist acts. President Trump needs to make this law through Executive Action. About the author: Tony Elliott is an established writer with articles in over 20 publications of differing topics. He was Political Commentary Columnist for the Cimarron News Press in Cimarron, New Mexico from 2001 to 2003. He was also a regular writer for several small coastal newspapers in Southern Oregon during the early 1990’s. BOOKS: Aura Visions: The Origin Prophecy, Enviroclowns: The Climate Change Circus, Strange Sounds: A Research Report. This entry was posted in National on August 30, 2017 by admin. Whether your organization is lobbying to move forward a healthcare, financial or other social initiative, we can organize rallies and get media attention for your causes and candidates. We also assist individuals, companies and political organizations with protests and picketing campaigns. We’ve protested governments, corporations and everything in between. We’ve achieved results on campaigns on everything from ending institutional discrimination in a religious organization to getting refunds and compensation for hundreds of homeowners who bought hazardous land from a real estate firm to forcing a patent trolling company to back down. Some of these campaigns are long and drawn out while others can be resolved quickly. Regardless, we endeavor to deliver campaigns that bring out the best qualities of our clients’ messages and to achieve tangible results.